The Aerodyne's promise of high speed and VTOL capabilities could have changed the way communication and surveillance work was done during its time. Men have been exploring the skies for far longer than most of us realize. In fact, the first known record of personal flight was the English Benedictine monk, Eilmer of Malmesbury, who somehow got the crazy idea to jump off the tower at Malmesbury Abbey with wings strapped to his arms and legs. He traveled for more than a “furlong” (roughly 200 meters) but turbulent winds brought him down hard, breaking both legs and leaving him lame for the rest of his life. Though the exact time of his flight is unknown, it is generally placed sometime in the early 11th century AD. Fast forward a millenium, and these days, a plane is said to land somewhere in the world every 3 seconds. These past thousand years of development have led to a very rich history of flying machines. With such a long time in the making, technological advancements are bound to happen–but so are strange inventions. In the field of aviation, we definitely find both. The aviation industry during World War 1 and World War 2 was like a big marketplace. The demands for new aircraft were high, so aviation designers and engineers were continually churning out designs. This led to the designing of some bizarre, albeit well-conceptualized, aircraft . One of these was the Lippisch Aerodyne, and boy, does it fall in the category “bizarre”. The Aerodyne is just one of the many inventions of master German aircraft designer Alexander Lippisch. At first look, the design will leave most people wondering how on earth the engineers managed to get such a bizarrely shaped aircraft off the ground. The Aerodyne, however, has good science behind it. 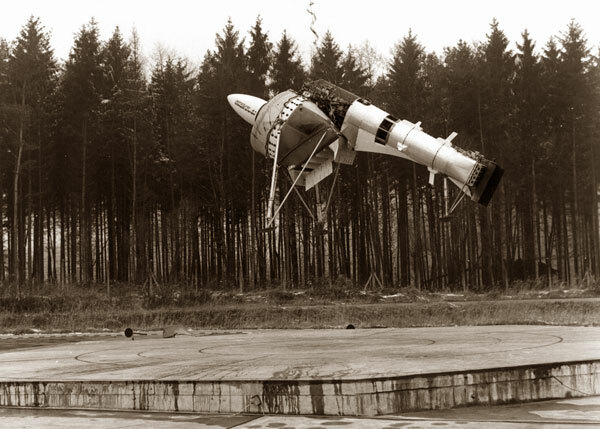 In fact, it was designed in such a way that it goes beyond what conventional airplanes could do back in its time. Before delving into the science that allowed the Aerodyne to actually take flight, it is proper to give recognition first to its maker. Alexander Martin Lippisch (November 2, 1894- February 11, 1976) was a German pioneer of aerodynamics who made groundbreaking contributions to his field. He helped give light to the science behind flying wings, delta wings, and the concept of ground effect. He is most renowned for his design of the Messerschmitt Me 163 rocket-powered interceptor. Born in Munich, in the Kingdom of Bavaria, Lippisch’s interest in aviation was triggered by a demonstration held by Orville Wright in Berlin back in 1909. Despite this first brush with airplanes, he still planned to pursue a profession in the arts just like his father. The outbreak of World War I, however, led him to a different direction, and Lippisch ended up flying as an aerial mapper and photographer during his service with the German Army (1915-1918) instead of entering art school. He then worked with the Zeppelin Company after the war and found his true love—the tailless aircraft. In 1921, his first design was produced and given the name “Lippisch-Espenlaub E-2 glider.” This sparked the start of a research program that would include about 50 designs during the 1920s and 30s. His line of work helped him develop more tailless and delta-winged designs, and in 1928, Lippisch’s “Ente” (German for duck) was the first aircraft to ever fly using rocket power. From 1931 to 1939, his interest in delta wings resulted in the development of five aircraft numbered Delta I – Delta V. Delta I was the first tailless, delta wing aircraft to actually fly. In 1939, Lippisch was transferred by the Reich Aviation Ministry to the Messerschmitt factory where he was asked to design a high-speed fighter aircraft utilizing the rocket engine design of Hellmuth Walter. His team was quickly able to retrofit one of their recent designs, the DFS 194, with the rocket powered engine. They achieved flight in early 1940, and this aircraft was the direct ancestor of the Messerschmitt Me 163 Komet. The Komet is only rocket-powered fighter aircraft ever to reach an operational stage, and though it was capable of amazing performance (test pilot Heini Dittmar reached speeds of 700 m/h 1,130 km/h) it was not an effective fighter. This, coupled with the frequent arguments between Lippisch and Messerschmitt, drove Lippisch to transfer to Vienna’s Aeronautical Research Institute (Luftfahrtforschungsanstalt Wien, or LFW). After the transfer, Lippisch decided to focus his attention on solving the problems common in high-speed flight. After wind tunnel research suggested that the delta wing was actually a good choice for making supersonic flight possible, he began developing a supersonic ramjet fighter. Unfortunately, Lippisch only produced a glider prototype, the DM-1, before the war ended and the project was shut down. Like many German scientists post-war, Lippisch was brought to the United States under Operation Paperclip. From 1950-1963, he was working for the aeronautical division of the Collins Radio Company in Iowa, and it was here his interest turned to the concept of ground effect craft. During this time, Collins asked Lippisch to develop a design incorporating the ground effect concept. Lippisch produced his first VTOL aircraft, and aerodyne, and the X-112 seaplane, which flew in 1963 and featured a revolutionary design with a T-tail and reversed delta wing. Unfortunately, in 1963, Lippisch was diagnosed with cancer and resigned from his position at Collins. In 1966, Lippisch had recovered from his battle with cancer, and struck out on his own, setting up the Lippisch Research Corporation. He began work on the aerodyne and other ground effect craft again and produced additional prototypes. 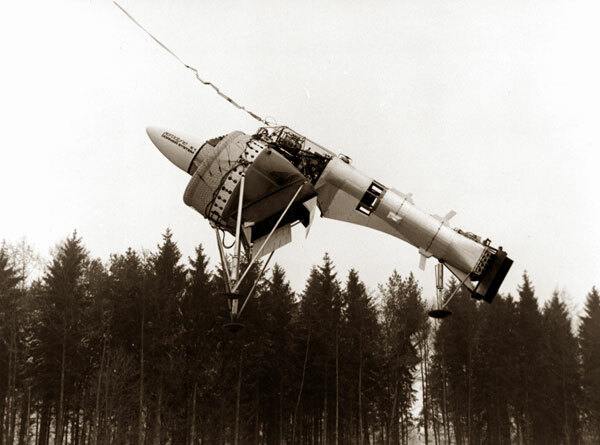 At this point, Lippisch attracted the interest of the Federal German Ministry of Defense (for the West German government), and they acquired the design from Lippisch and hired Dornier Flugzeugwerke (please don’t make me pronounce that) to build a new Aerodyne prototype. This new craft was referred to as the Dornier Aerodyne, though Lippisch was still included as part of the team all the way through flight testing. The Aerodyne was considered a vertical take-off and landing (VTOL) aircraft, the same classification which also includes helicopters, fixed-wing aircraft, and rotor-powered aircraft. The first flight of the Dornier Aerodyne took place on September 18, 1972. 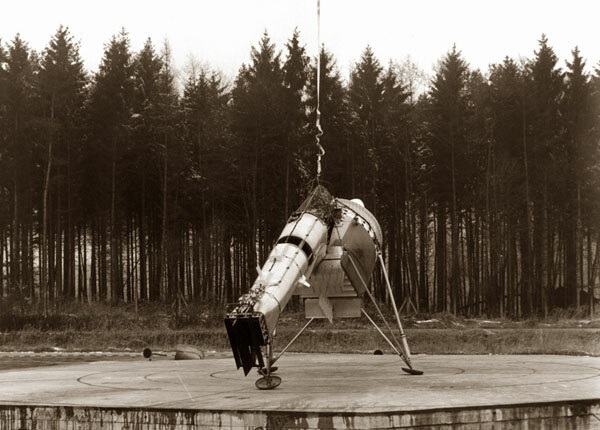 Despite the flight test being a success, development for the aerodyne officially ended on November 30, 1972. 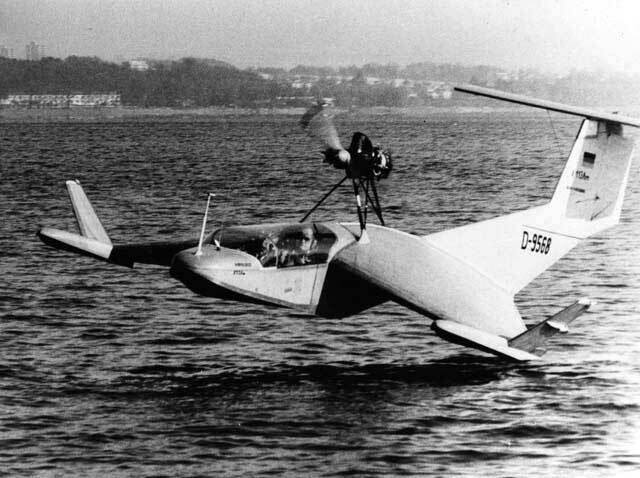 Sadly, the West German government had lost interest in the project, and decided to shelve the Dornier Aerodyne. Do a quick Internet search for the most bizarre aircraft in history and you will usually find the Aerodyne on those lists. At first glance, the Lippisch and Dornier Aerodyne looks like a fusion between a museum display and a strange technology from the future. Its design is the exact opposite of what most of us expect from a machine that will actually lift itself off the ground—bulky, wingless, and with a head that is as twice the girth of its tail. And yet the strange, revolutionary nature of it’s design can be taken as proof of Lippisch’s genius. The principle behind the Aerodyne combines the production of lift and thrust using a single unit and flow channel, like a ducted fan. Flaps at the end of the fan work to divert the outflowing air which produces lift and thrust, or a combination of both. This meant the Aerodyne was capable of being steered and flown in the complete range of motion between hovering and full forward flight. Interestingly, earlier designs of the aircraft depicted it with a cockpit although only an unmanned version was built for testing purposes. 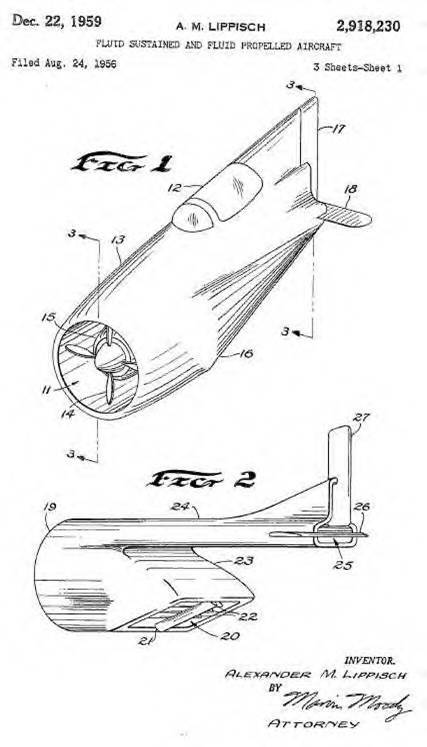 In order to help with forward flight, the Aerodyne was designed to have conventional tail unit at the rear, which allowed for control of the pitch and yaw. The aerodyne was designed to serve as a land or ship-supported drone used for aerial reconnaissance. The Aerodyne is generally considered Lippisch’s most interesting concept developed during his career. In theory, the unique design of the aircraft was capable of outpacing conventional aircraft that had the same power weight and ratio. In addition, it had the promise of super-sonic speed, and was free of many of the operational disadvantages common to other “tail-sitters” like the Convair XFY-1 “Pogo”, the Ryan X-13 “Vertijet”, and the XFV-1 “Salmon”. Important equations of Lippisch’s on the Aerodyne survive on paper and show the promise of the model. Despite its development being halted, many of Lippisch’s Aerodyne principles were applied to an aircraft that is still in operation today: the Harrier Jump Jet. Lippisch’s invention of the Aerodyne was shaped by his views on the future of aviation and aircraft. As people argued about the definition of the term “aircraft,” Dr. Lippisch gave his thoughts on the matter and stated that a modern aircraft is a machine that is powered by a glider, plain and simple. He then said that the drag penalty common to the majority of modern winged aircraft was a needless disadvantage. According to Lippisch, the main purpose of a wing is to deflect a large mass of air downwards, which in turn produces the upward component of reaction. However, if this same propulsive mass of air is directed towards a duct, then it can also produce the same reaction that can keep a craft afloat. This idea has the potential to make the ordinary wing obsolete. 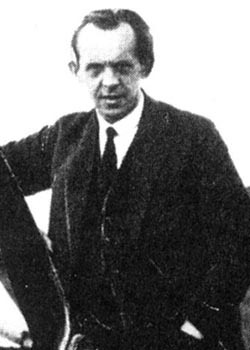 Lippisch figured that with the disadvantage of wing drag out of the picture, modern aircraft could achieve higher speeds including craft capable of more efficient supersonic flight. Reconnaissance was a big topic during the development of the Aerodyne. And even though Lippisch’s Aerodyne design did not make it past test flights, it held a lot of promise for the future design of unmanned drones. With the Aerodyne’s pilot-less, remote-controlled flight, there would be no need to worry about pilot life support systems or heavy armor plating. Cheaper and simpler materials could be used to build such aircraft, like fiberglass and aluminum-plated foam. The Aerodyne’s promise of high speed and VTOL capabilities could have changed the way communication and surveillance work was done during its time. Decades later, its concept–and appearance–still remain a source of surprise and curiosity among aircraft enthusiasts. It has earned its spot in lists of the most bizarre, unique inventions in the field of aviation, but for mostly positive reasons. I love Lippisch’s work, the Me-163 is one of my favs. These types of aircraft never get off the ground so to speak because when the engine fails. EVERYONE DIES.